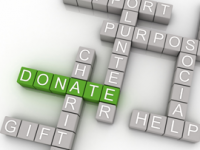 Usually the first piece of work we undertake is an audit of current fundraising or sponsorship activity. The fundraising audit includes a competitor analysis/peer review, thorough analysis of current donors and income needs and identifies fundraising strengths, weaknesses, opportunities and threats. A mixture of qualitative and quantitative research is used, potentially including interviews with key trustees, directors, staff, service users and existing funders. This work culminates in a report which indicates the organisation’s position in the funding market place, positioned against key competitors locally and nationally, as well as an understanding of your key strengths, challenges and opportunities in fundraising terms.